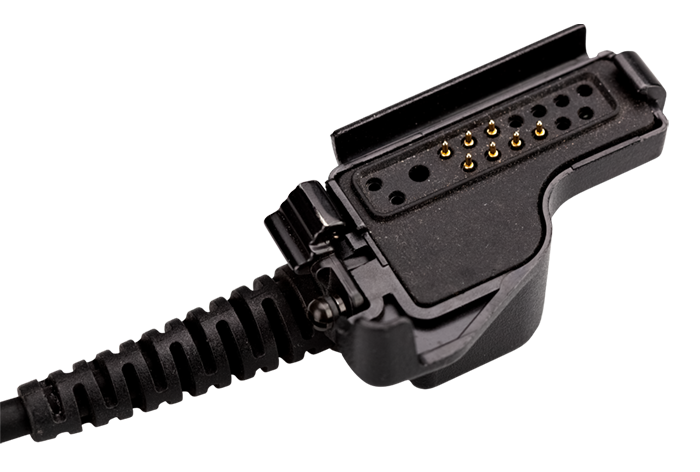 The "SF" PTT includes a 5 conductor Nexus jack assembly featuring a custom over-mold designed and manufactured by Atlantic Signal. 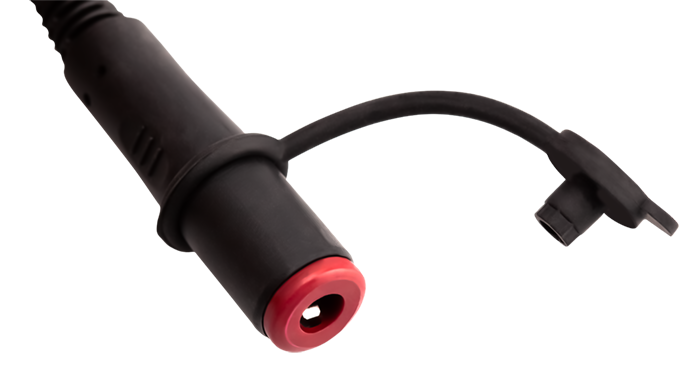 We also designed and manufacture the cap assembly shown in the photo to protect the internal portion of the assembly from dust, dirt and water ingress when a headset is not connected. The "SF" PTT switching mechanism, shown in the photo to the right, features a shroud to avoid accidental depression from contact with other key operational equipment. A steel alligator clip is mounted to the rear of the PTT housing via twin stainless steel screws. The alligator clip features a rubber over-mold over the clip's teeth to prevent damage to clothing or vests it is affixed to. 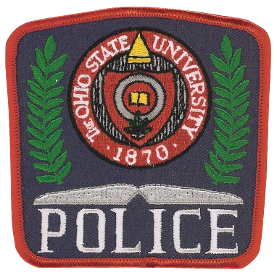 My name is XXXX XXXXXXXX and I am a member of The Ohio State Police University Police Division's Special Response Team. 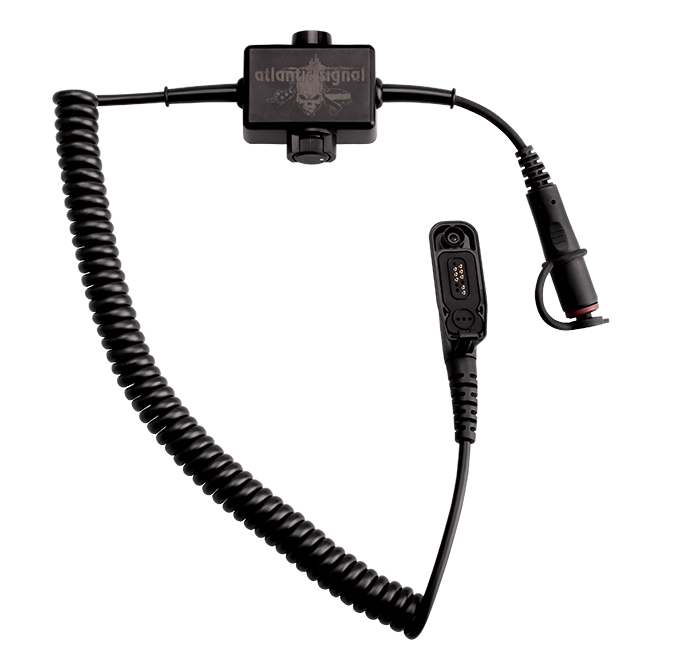 Recently we demo'd your MH180V headsets. We were very impressed with them and would like to get a price together to purchase 11 sets with adjustable volume control on the PTT. Please let me know if you need any further information. Thank you.